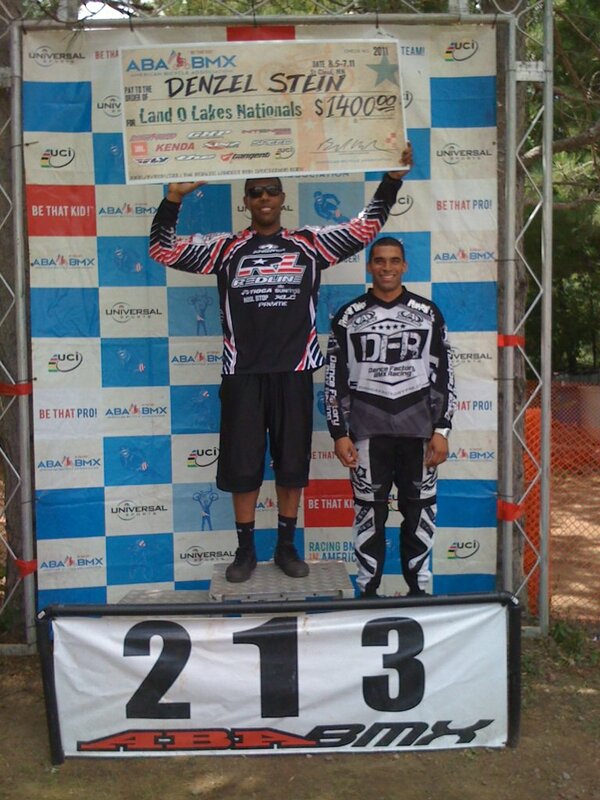 Check out this Austin local on the Specialized grassroots team tearing things up on a Specialized P24! 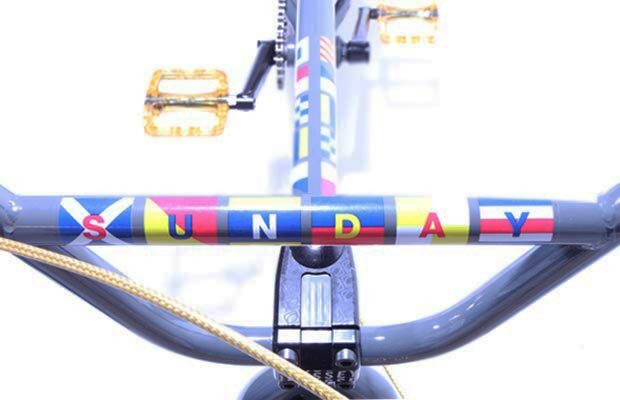 A while back the post titled, Traditional cruiser bars: who needs ’em generated a lot of discussion about the trend towards taller bars on 24″ BMX bikes. Part of that discussion also noted how the trend hadn’t really taken hold in the race community. Racer, BMXActionOnline moderator and today’s guest tester, Matt Shelley thought the idea of taller bars on a race bike was a good one and decided to check it out for himself. A concern I had with the test was comparing my “apples” to “oranges”. 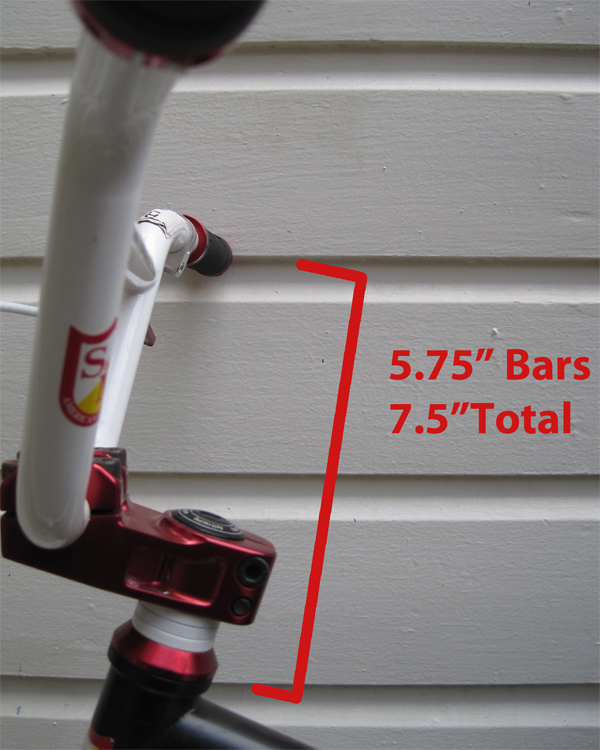 Stack heights and stems vary from bike to bike, so bar height is not the final word in overall height. I decided I would measure from the top of the headset bearing. Whether internal or cup, this seemed like an appropriate starting point, and the middle of the grip area would be the end point. Below is my main race bike. The bars are 5.75 inches, and the overall height is 7.5 inches. I’ve been running this setup for close to 2 years now. It seems typical of most race cruisers and feels pretty good to me. Here is a picture of a Quad that I recently set up. 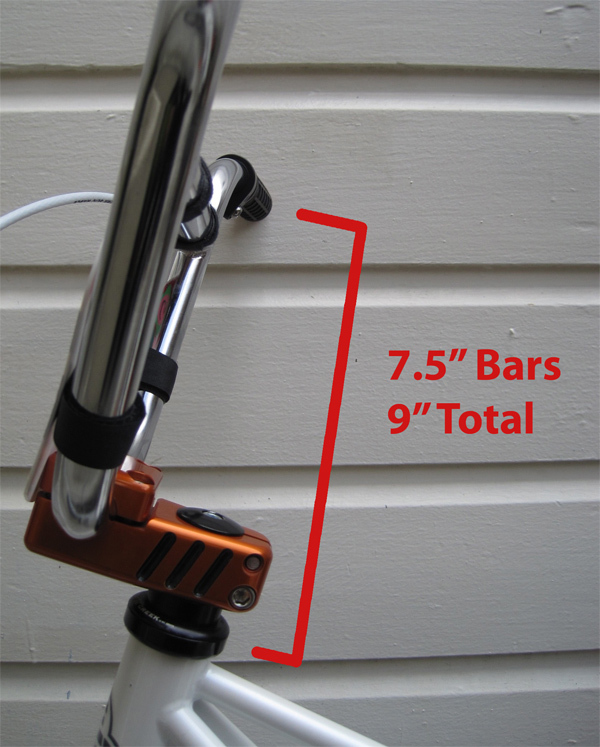 The bars are 7.5 inches with an overall height on 9 inches. I’ve raced this bike 3 times now, and two 2nds and a 1st have been the result. After the initial half hour of “this feels different,” I did not notice the bars much after that. I felt that they gave me better pull when manualing and hopping over jumps, and I got the impression I had much better pump with them on backsides. Another advantage of the taller bars was leg room. I’m 6 feet tall with an inseam of 33 inches. The 6 inch bars I ran on the quad had to be rotated a bit forward, as I felt they were a little too close to my knees. With the 7.5 bars I can now run them in line with the fork. The only area I felt these bars to be too tall was out of the gate. I was now standing taller, and thus could not get all of the “give ‘em” out of my hips and into the pedal that I am used too. Aside from those first few pedals, no other detrimental effects on the track were noticed. I’m now planning to boost the overall height on my main rig to 8 inches. This should give me that better pull and pump I felt, and still allow for a powerful feeling out of the gate. So taller bars on a race cruiser? Hey, if it feels good… do it! Kinda makes you want to drop what you’re doing and go ride, doesn’t it? 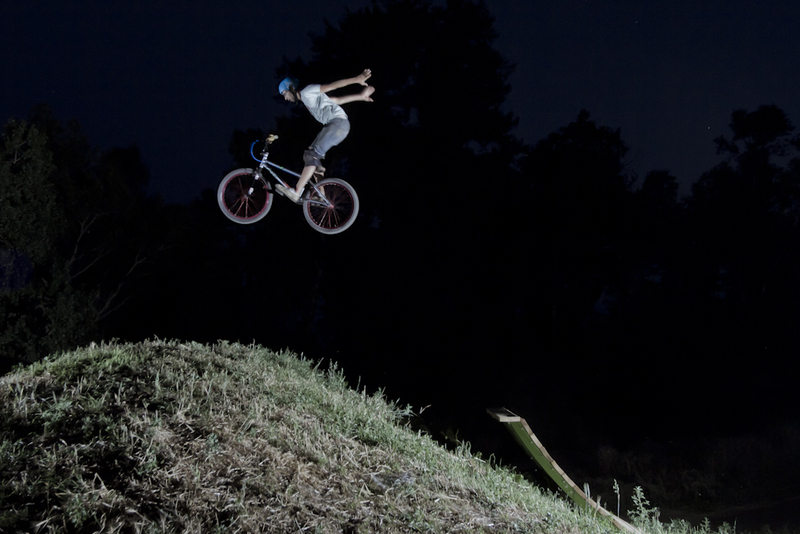 Think freestyle riding on a 24″ BMX bike is a new phenomenon? 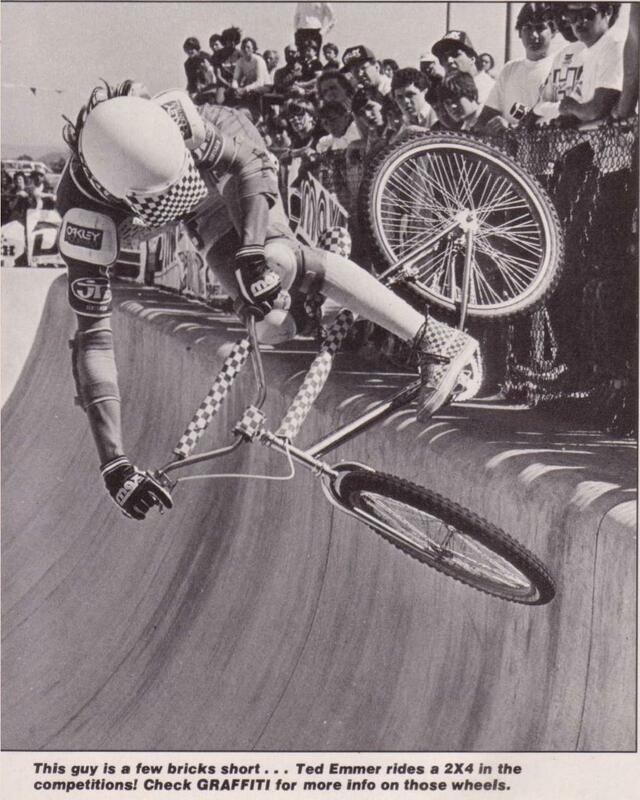 Ted Emmer was rocking a 24″ at the Del Mar skatepark back in 1984! An interview that Sunday Bikes’ Jim Cielencki did recently with Complex magazine has just come out. And while the intent of the article was to talk about the 2011 Model-C Pro, Jim also took the opportunity to talk about the history of the Model-C, the geometry and the different models available in the Sunday lineup (including the Wave-C). I feel like a drug dealer, because when someone goes ‘oh, there’s the 24,’ I put it in their hands and they ride it, and most people have judged it and they’ve discounted it or have a negative opinion of it, but they ride it and they understand. Because there’s never been anything like this. They don’t have anything to go off of. They get on and they go ‘Oh, OK, I get it’. 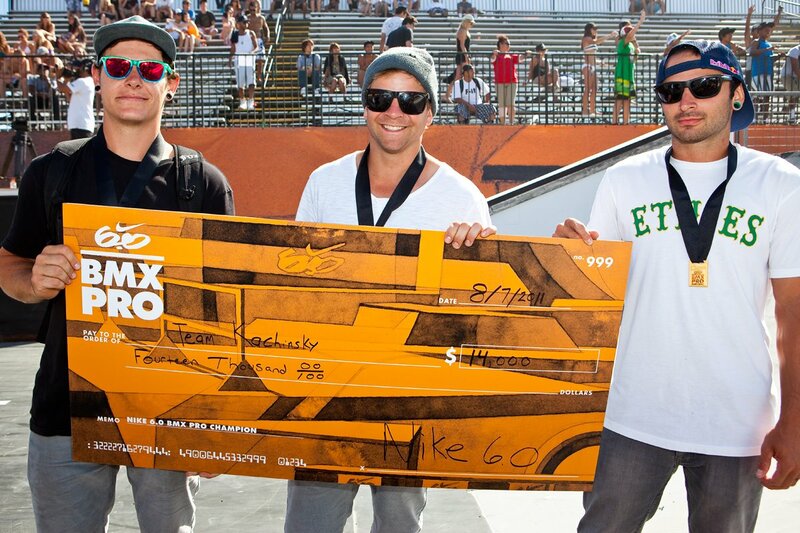 Great to see some mainstream coverage of what’s going on in the world of 24″ BMX. Check it out here. Bobby Parker and the Sunday crew recently made a trip up to Colorado to hit the plethora of concrete parks available in the state. While there, they managed to hill bomb Mt. Evans (which is supposed to feature the highest paved road in North America) and shoot some great footage. Andrew Brady was able to capture some of the radness that went down with his camera and Bobby was cool enough to send some of the photos along. He also included a writeup for each one to give you a look into what went on “behind the scenes” for each photo. No hander at Valmont Bike Park. Lets just say I still have a reminder of Valmont on me right now…in the form of road rash and a sprained ankle. We rolled into the parking lot about 30 minutes before it was too dark to ride but still managed to ride for about 45….I was trying to get in as many laps as I could so when I saw a few of the Sunday guys take some cranks into the XL line I jumped right behind. Next thing I know my tire doesn’t quite make it to the end of the log ride and I get sent. A little bit of blood never hurt anyone, I guess. Sounds like an awesome trip. In his email, Bobby said there was so many awesome places to ride that they didn’t even put a dent in all the skateparks Denver had to offer. Looks like Colorado is going to be getting a lot more visitors in the near future if people start getting wind of what’s available there.